Remodeling | Brooks Plumbing Co. Deciding to remodel your bathroom can be both exciting and stressful. You are excited to have a beautiful, new bathroom, but you might not be sure how to get there. Hiring the right contractor for your home project can make a world of difference in saving you both time and money. We understand that doing it yourself might seem like the cheaper route, but trust us, a major project such as a remodel is best left to the professionals. We recognize that you want your bathroom to be functional and comfortable, which is why we are here to help make that possible. Brooks Plumbing Company offers bathroom remodeling services in Olympia, WA. If you are seeking the right plumber for your project, consider us. Below, we have provided you with some cost-saving tips to consider before you begin your bathroom remodel. Home plumbing projects are high up on the list of home remodeling projects that you shouldn’t attempt on your own—and that’s because you could end up doing more harm that good, however well-intentioned the project may be. However, bathroom remodeling projects are becoming more and more popular, and with good reason. While your bathroom may not be the first room you consider when you’re thinking of undergoing a home remodel of any kind, it’s easy to understand how you’d want to make this room as functional as possible, for your comfort and the comfort of your family, and perhaps even your guests. When you are ready to undergo an Olympia, WA bathroom remodeling project, we are the team to call. In the meantime, however, we have many factors for you to consider. Are Low Flow Toilets Right for Your Home? Are you looking for a way to reduce the total water consumption in your home? If you’ve been battling high water bills it’s only natural that you want to find ways to save water, and thus money. One way to do this is by having a more efficient toilet installed, which has become a very popular home addition in recent years. When low-flow toilets first came onto the market, many homeowners were hesitant to invest, unsure if they were really that much better than regular toilets. However, now they are much more efficient and the technology has been improved to the point that clogs and other problems are much less frequent. Posted in Plumbing, Remodeling | Comments Off on Are Low Flow Toilets Right for Your Home? Earlier this year, we published a blog post in which we described a couple important factors to consider when remodeling your bathroom. This included considering practicality over elegance, and making the most of the space you have. We also briefly touched on why it’s so important to work with a qualified plumber. Below, we’ve shared a few common plumbing mistakes people make when they choose to forgo professional work. If your bathroom doesn’t look the way you want it to, and getting around in it is difficult, you may want to consider remodeling it. The bathroom is the most used room in the house, and with a remodeling job from a quality contractor, it can feel like a whole new space. It pays to work closely with a qualified plumber during such an operation, and Olympia, WA has services that can help you. Planning and preparation can pay huge dividends with such an operation. Here are a few things to consider when remodeling your bathroom. Kitchen remodeling projects can be exciting, as old cupboards and tacky countertops give way to a new and aesthetically pleasing kitchen space. Plumbing plays a huge role in any kitchen remodeling project, and here in Olympia, WA, you have top-notch experts standing by to give you a hand. Like any other big project, kitchen remodeling takes careful planning and the more you can set up in advance, the better the project will go. Here’s some things to remember when beginning your kitchen remodeling. If you’re tired of your old bathroom and/or the façade and fixtures just don’t fit what you need, a remodeling project can perform wonders. Not only does it help you enjoy your home more, but it can provide a solution to a number of tricky problems that affect you every day. 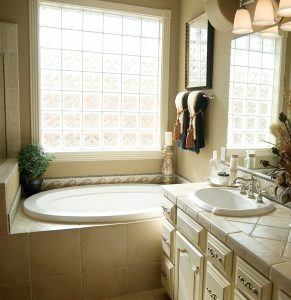 (Lack of counter space for example, or a stand-alone shower that lacks a bath.) But before you dive into such a project, you need to think it out carefully to ensure that things go according to plan. Here in Olympia, WA, there are qualified plumbers who can help you out. Here are 3 things to consider with bathroom remodeling that you should discuss with them before you begin your project. Kitchen remodeling is a pretty intense process, involving the reconciliation of a lot of different moving parts. It’s never easy to keep track of everything that needs to get done, but it’s imperative that it all be done correctly. The last thing you want to do is turn on your new kitchen sink, only to find that the water wasn’t hooked up. To that end, it’s better to hire professionals for some of these tasks. Read on to find out why you should hire professional plumbers when conducting kitchen remodeling. Kitchen remodeling is often an expensive investment, and no one could blame you for looking into ways to save money during the process. Doing it yourself, however, is not a great idea when you don’t have the professional experience necessary to do it well. You wouldn’t start messing with your home’s electrical wiring by yourself (at least, we certainly hope you wouldn’t) so why would you try it with your plumbing? You may not get electrocuted if you do something wrong, but plumbing mistakes can lead to hundreds or even thousands of dollars in water damage. If you want to move any of your water appliances to a different location in the new kitchen, it’s going to require installing new pipe in the walls. No matter how you slice it, it just isn’t worth the trouble of going it alone just to save a few dollars. Let’s say you rely on a friend, or your own plumbing knowledge, to get through a kitchen remodel. You may be able to hook everything up correctly enough for it to work for a while. However, it is likely that you will miss something that could cause issues later. 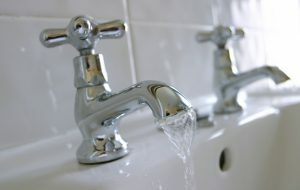 Proper plumbing maintenance is not an easy task, and if you make a mistake it could end up costing you in the long run. If you hire a professional plumber, on the other hand, you can rest assured that it will get done right the first time. If you need plumbing work done for a kitchen remodel, call Brooks Plumbing. We provide plumbing services throughout the Olympia area. Remodeling your kitchen can be an exciting endeavor, but it does require a great deal of work. This is why it’s so important to hire experts you can trust for your kitchen remodeling in Olympia. Planning is the key to making your kitchen remodel a success, and when you work with a Brooks Plumbing expert from the very beginning of your remodeling process, you can rest assured that you are in good hands. So what kinds of tips should be kept in mind when remodeling your kitchen? Design traffic patterns that work – think about how people walk around your kitchen, and make sure that when you design your kitchen, you have walkways wide enough. Typically, regular walking paths should be at least 36 inches, and areas where you cook should be anywhere from 42-48 inches. Make sure the microwave is at the right height – it sounds like a small item, but the microwave is used very frequently and if it’s installed at an inconvenient height, it could irk you for years. Children and the cook(s) in your home factor a lot into the placement of your microwave, so make sure you include them in your planning. Plan for clearance – there is nothing more frustrating that having a beautiful kitchen that isn’t fully operable because of cabinets that won’t fully open because there isn’t enough clearance for the doors. Include “landing space” on your counters – we all need space to put our food when cooking, yet this is an oft-overlooked item when planning your kitchen. The simple rule is that there should be 15 inches of countertop space on either side of your stove and refrigerator. Plan for recycling – just about every town has recycling requirements at this point, so make yours easy by planning separate spaces for your garage and recycling containers. Make sure you have enough outlets – outlets can often be forgotten about, so make sure you have enough outlets to make your kitchen as useful as you need it. Your kitchen remodel should be as functional as it is attractive, and when you work with a trained expert from Brooks Plumbing on your kitchen remodel, your needs will be paramount to the overall plan. Call us today and schedule an appointment to get a kitchen remodeling for your Olympia home. The kitchen is a room in the home that is central to your family life or for entertaining guests. People tend to gather around the kitchen to discuss the day’s events while cooking or cleaning. The kitchen is where you can prepare the healthy meals that will help you to make a major lifestyle change or where you can bake a warm dessert to relax after a long day. Regardless of how you enjoy your kitchen, you want a space that’s welcoming, stylish, and easy to use. And the fixtures in your kitchen can help make it easier to prepare meals and make guests feel right at home. The following guide includes a few different ways you may decide to upgrade your kitchen fixtures when you decide on kitchen remodeling. A central decision in how your kitchen will be designed involves the look of the kitchen sink. Perhaps you want a double bowl so that you have more room for cleanup. Or maybe you’d prefer a stylish granite single bowl to allow for more counter space. Whatever your choice, make sure you work with a skilled contractor who can decide whether some plumbing fixtures need to be moved around to accommodate this new design. If you’d like more space underneath the sink for storage, for example, you may need a plumber to install some additional piping to move the sink higher up. You may also want to think about the fixtures that will go under the sink. It’s easiest to install a garbage disposal during your new sink installation than to schedule it as an afterthought, for example. And it’s also important to think about additional plumbing installations beforehand, like an under-sink water filtration system or even a built-in soap dispenser. Finally, when you decide to upgrade your dishwasher, you should first check with the contractor to make sure that the unit fits in with the plumbing system and is in line with your new kitchen design. A contractor is able to make the proper measurements now so that you don’t end up discovering that your original design scheme isn’t going to work after you’ve already had the unit shipped. You should always work with a trained contractor when choosing the fixtures that will fit into your new kitchen remodeling in Lacey. Call Brooks Plumbing to talk about your remodeling needs today.